WESTMINSTER, CO – August 30, 2016 – PSA Security Network, the world’s largest electronic security cooperative, today announced the call for presentations for the TEC 2017 annual physical security conference will be open August 31 – September 30, 2016. Proposals can be submitted at www.psatec.com/cfp. TEC 2017 is the premier physical security education and networking event that provides training for entire teams with courses for senior management, sales teams, project managers and technicians. TEC 2017 will be held at the Westin Hotel in Westminster, CO on May 8-12, 2017 and is open to everyone in the industry. Proposals are welcome for both certification programs and general education sessions. All session submissions must be unbiased and commercial free (certification courses excluded). Proposals are evaluated based on topic relevance, speaker expertise, and originality of the content. Certification program submissions must provide attendees with an industry certification at the conclusion of the course. Additional details available within the call for presentations submission tool. Accepted and approved presenters will receive complimentary registration to TEC 2017 and will have the opportunity to solidify their reputation as an industry resource and subject matter expert while expanding their own professional network and gaining access to strategic partnerships. PSA Security Network does not pay honoraria or expenses for accepted proposals. Submissions will be accepted until September 30, 2016. 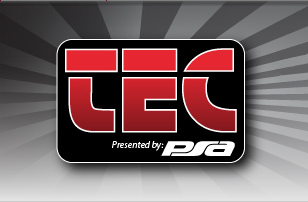 To submit a proposal or for more information about TEC 2016 visit www.psatec.com/cfp. PSA Security Network is the world’s largest electronic security cooperative, owned by the most progressive security integrators throughout North America. Combined, PSA members boast over 300 branch locations, employ nearly 6,000 security industry professionals and are responsible for over $3.5 billion annually in security, fire and life safety installations. PSA’s mission is to empower its owners to become the most successful systems integrators in the markets they serve. PSA brings this mission to life by partnering with industry leading product and solution providers, delivering unparalleled education and training programs and by offering a variety of distinctive services that can enhance any company’s operations. Learn more at www.psasecurity.com.